Duke and Duchess of Cambridge, Prince of Wales and Duchess of Cornwall arrive for the Diplomatic reception at Buckingham Palace. Looks of concern from the Cambridges as they had just witnessed one of their motorcycle outriders coming off his bike at speed. Camz looks like a christmas tree. Camilla looks like she packed on the makeup practically painted her face. She needs to tone it down. It looks garish. But she smirks triumphantly. 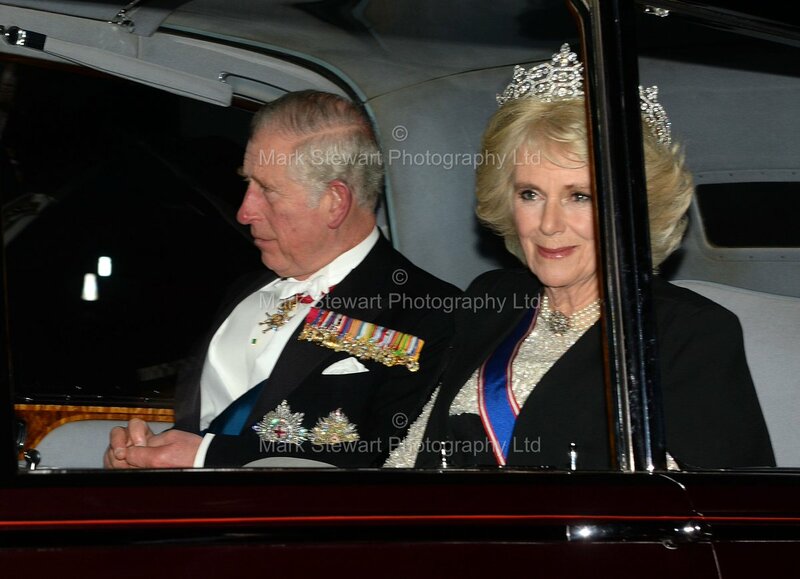 The Queen Mum did not receive Camilla after the PB divorce but Camilla flaunts the QM's tiara. 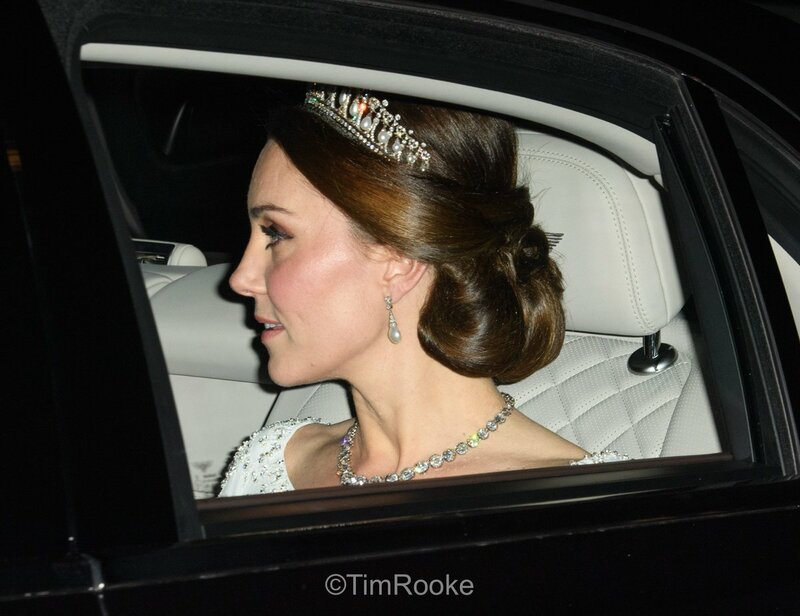 Kate at least wore one more suitable. 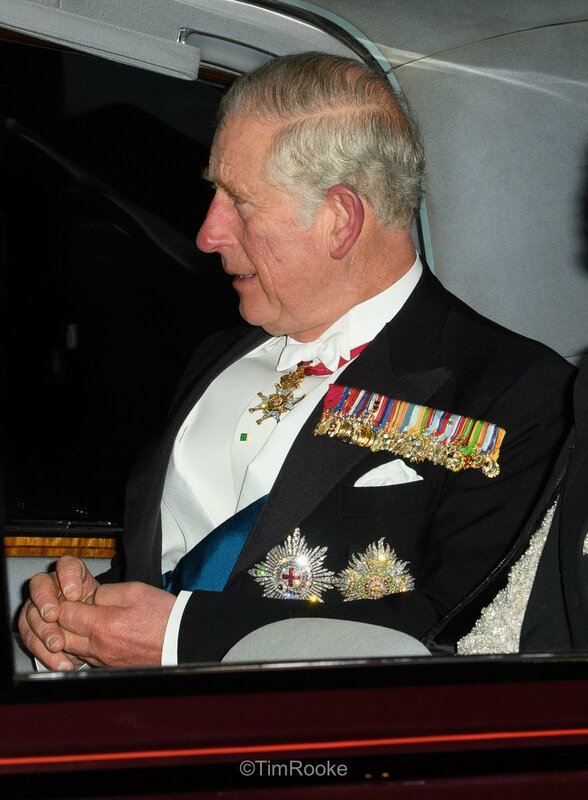 I seriously doubt council cath wears more of HM´s jewellery than Diana - she wore many of HM´s pieces of jewellery, especially on tours and gala evenings. I wish that heavy eyeliner and far too much mascara was against the law. It might just be me, but the photo in which the media keep saying William and Kate "show a look of concern"-I don't see concern at all. 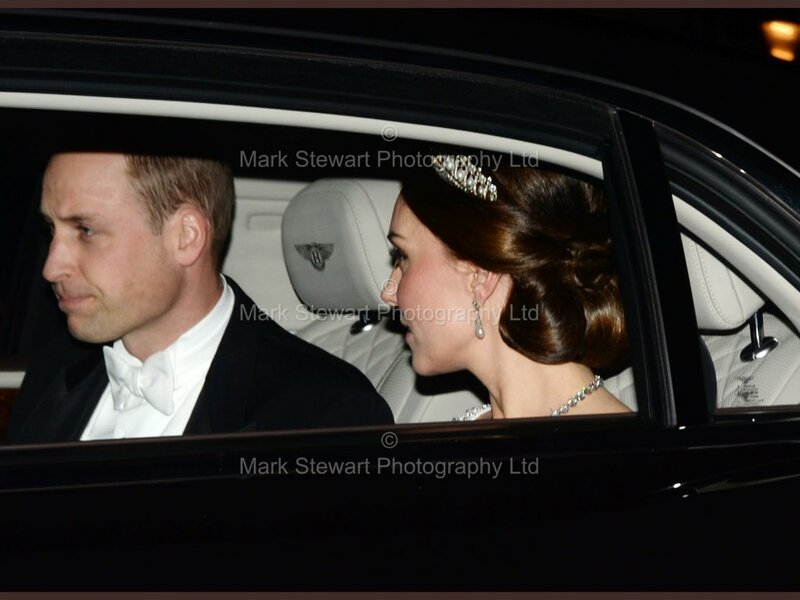 William looks annoyed and from the side and it appears that the corner of Kate's mouth is slightly lifting in an awkward attempt at a smile. 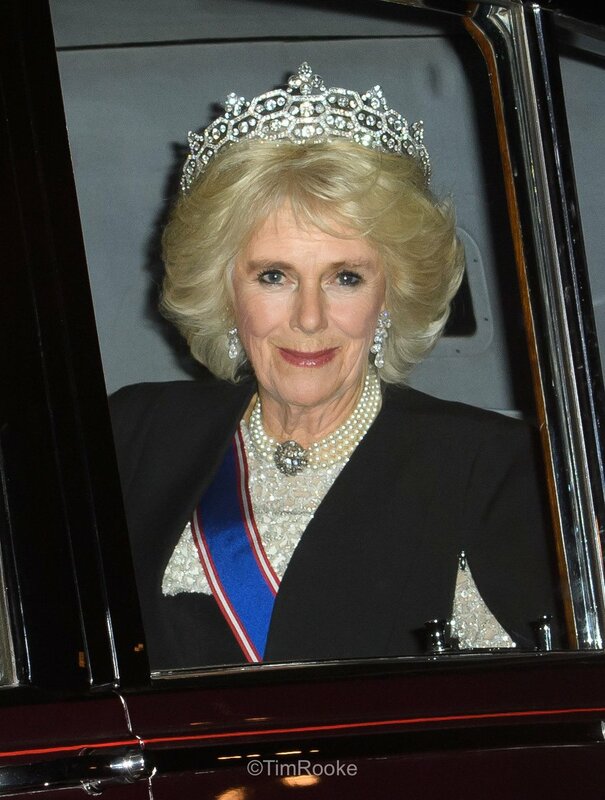 Camilla seems to be pulling a "Queen Elizabeth I" makeup style. 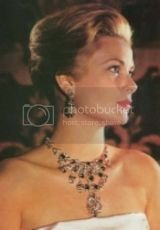 As she got older Elizabeth had layers of makeup and judging from Camilla's photo she may be doing the same. Her advisers need to rein her in as far as slathering on the makeup. 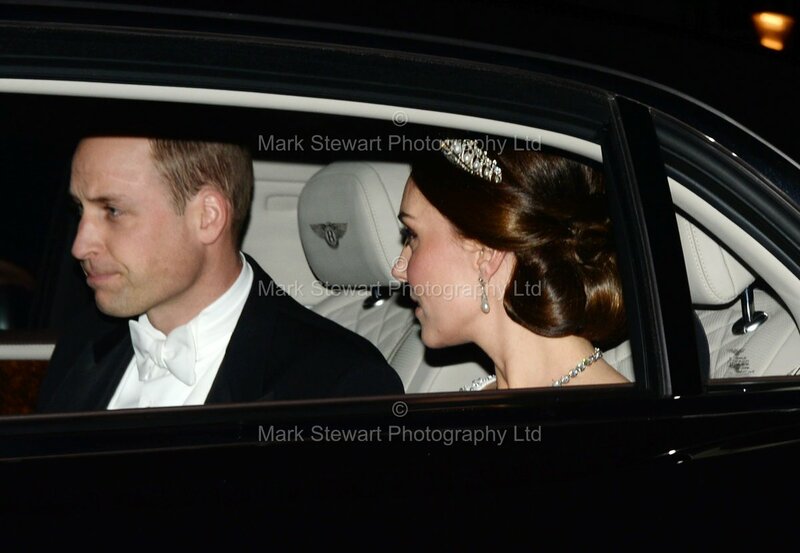 ^^ I can't see any 'looks of concern' in the car either. If there are they're well hidden. William has his usual fed-up and constipated expression and we can't see Kate's face, but she appears to be saying something to him out of the corner of her mouth. Campon looks garish. Please note the state of her eyebrows: horribly unkempt like old man's brows. Why is William so angry all the time? Yet Kate has nothing in her own right. She has to likely return it; like she has with hats she's rented and the Halo tiara that likely had to be given back right after the wedding ceremony. She has clothes but they are of decreasing quality and tailoring. Prince Petulant is sporting the usual clench jawed expression he always uses when he is going to the events with his Moronic Potato Head. He is always mad with His Chosen Woman Of Total Ineptitude. Enjoy it Dorkarama. You picked her. No One Made You Marry It. And just wait until the new arrival, he will start whining about not getting sleep (as if he ever gets up in the middle of the night for any of the children) and he will make snarky comments about the new one. It is going to happen.